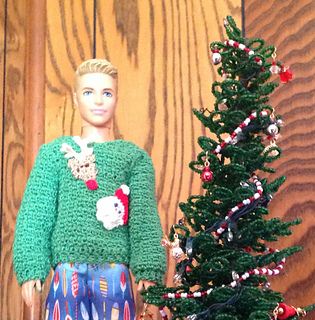 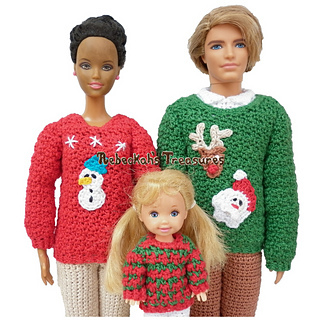 Get your 12” male fashion dolls ready for their Christmas family portraits with this spectacular Fashion Doll Dad’s Christmas Sweater Crochet Pattern! 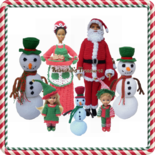 It was available exclusively in Too Yarn Cute’s November 2014 Magazine Issue, and Now it’s available for instant download. 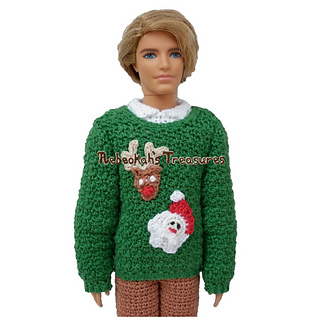 This crochet pattern includes written instructions on how to crochet the sweater for the 12” male fashion dolls, along with the Rudolf Reindeer and Santa Head appliques. 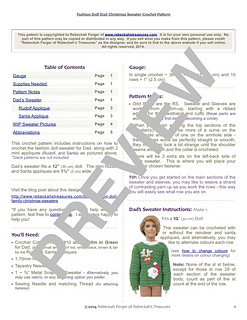 It also includes tips for changing colours like pictured with the child sweater, and it also includes photo tutorials for the cuff/waistband transitions into the main parts of the sweater and sleeves.